The Cardiac ward is where patients go once they are stable and well enough to leave ICU. We have 10 nurses on the ward – Frances, Susan, Kathleen, Sasha, Samantha, Suzanne, Michael, Craig, Richard and Beth. There are generally three on morning and afternoon shift and two on the night shift. 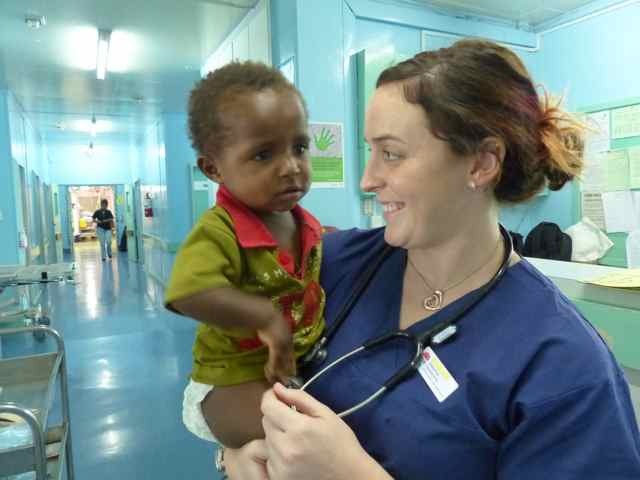 Our nurses are working with the local nurses and practitioners trying to educate and train them. These local nurses have come everywhere, from all over the country to learn from our very experienced team members, and come from a variety of local health care settings. New patients arriving from ICU are recovering well, and general there is generally 1 nurse to every 4 patients, although there is 1:2 patients in the high dependency unit (HDU). HDU is for patients that require more supervision, if on some specific drugs. The ward nurses do post op nursing care, monitoring drains, giving meds, observations, lots of education locals about the importance of these factors. 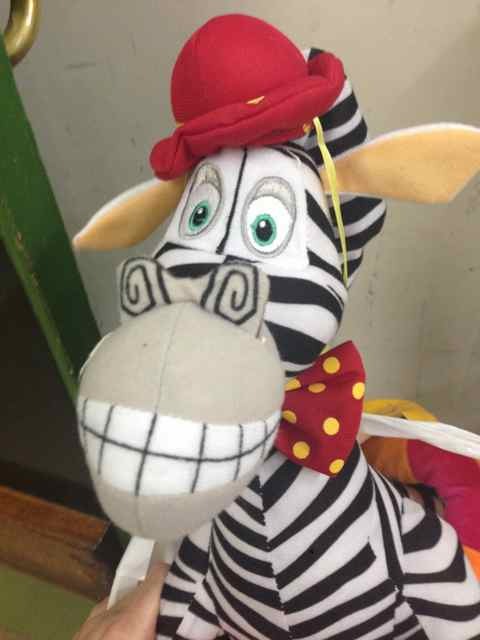 They also have a ward mascot that is a zebra toy called Molly who cheers all the children up. Molly is renowned for making the patients happy and jolly. As part of the training of local nurses, we are using a system called ‘Between the flags’ already used in many Hospitals at home. For nursing, it has an emphasis on communication, vital sign recognition and a trend of deteriorating symptoms. The local nurses are working well with the system, which is great. 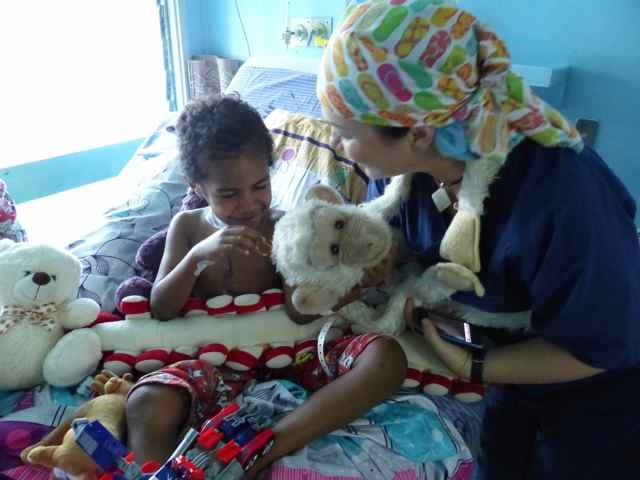 Patients are usually here 3 – 4 days before a stop in a post-surgical ward staffed completely by local nurses, and Then to nutrition ward for up to a week until being discharged. Once the chest drain and drips are removed the kids recover so much quicker. They get up and play as opposed to being a sick patient. Sick kids lay still, when they are getting better they get cheeky. We like cheeky kids. 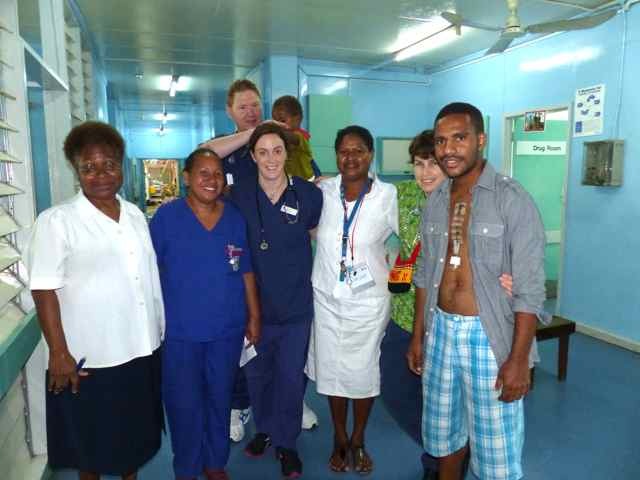 Michael, one of the ward nurses keeps coming back to PNG with OHI. He does so because of the beautiful people here. When people say thank you here they really appreciate you for your work, no matter how small your role. It’s beautiful to see children being children. We don’t see it much back home; the kids here like the simple things, bubbles, party blowers, balloons and Molly.